Wearing the British flag proudly, TVonics are a British manufacturer of digital set-top boxes for the digital TV service called Freeview here in the UK. If you haven’t switched over to some form of Digital service yet, you may want to take a look at the timetable for when your area is expected to go digital-only. It seems the further south you go, the longer you have with the final switchover date set in time for the arrival of the London 2012 Olympic games. TVonics recently sent me the brand new DTR-Z500. A Freeview set-top box that contains a huge 500GB hard drive for storing all of your favourite programmes. Touting its ‘green-ness’, the Z500 is an Energy Savings Trust approved product, which means its kind to the environment and easy on the electric bill. 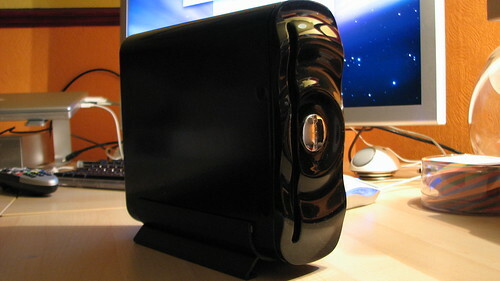 It only consumes 1.5 Watts in standby and less than 15 Watts when switched on. 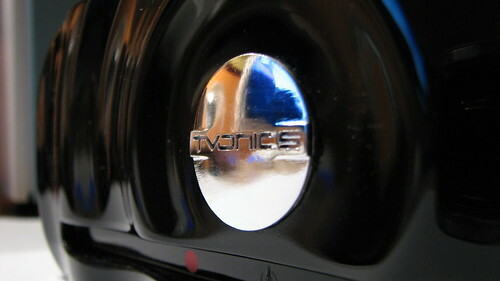 However, that’s not the only feature that TVonics are trumpeting with this new model. The Z500 is a Freeview+ box, which means it contains a twin tuner system so you can watch one channel whilst recording another, or better yet, with a huge hard drive, why not go ahead and record both channels at the same time. Freeview+ also means you can pause live TV, set a series to record automatically and access to an 8-day TV guide. Included in the box is the scart lead and remote with batteries so setup is extremely simple with just a few leads to connect up before the box starts to auto-tune and stores all of the channels and the electronic programming guide (EPG) information. All of this takes about 10 minutes from switching on to channel surfing from the comfort of your couch. 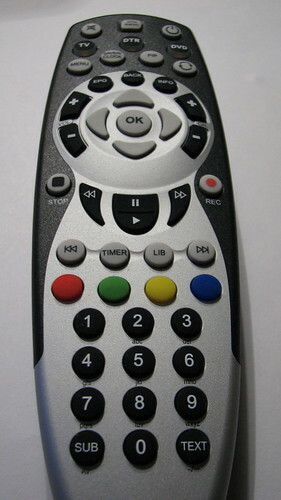 A test of how well-made a product can be determined by the quality of the remote control. 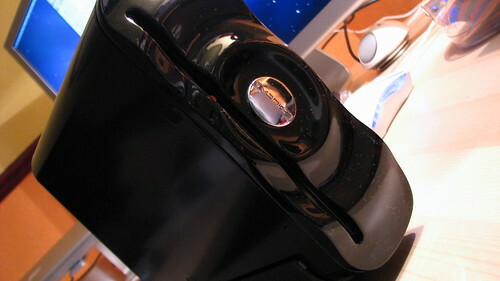 Since this is the part of the device that you’ll most often be touching and using to operate the functionality, its essential for it to be useable. Just like the TVonics box I reviewed last year, they have stuck with the same remote for the Z500. A clever decision because the remote was very intuitive, so why try to fix something that isn’t broken? At 500GB, the Z500 can record over 200 hours of programming in digital Freeview quality, just as it comes down your aerial. Freeview+ is a new certification system which means that it meets certain criteria that allows you to have the same functionality as that you find on premium services such as Sky Digital and Virgin Media, for no extra cost. The software has also remained the same from the last time I remember. The TV guide remains simple yet effective for getting a quick synopsis on a programme before switching to it. You can also set the box to record a programme automatically from the EPG as well as series recording. My only complaint would be that sometimes, programmes that have a short duration tend not to appear properly in the guide so you can’t really tell what’s on unless you hit the info button. TVonics haven’t really heeded my advice from the last review about the cosmetics. Whilst it’s not nearly as important as the functionality, it would have been nice to of seen a more innovative design. The Z500 can only be described as a black slab with a weird wavy front to it. Fortunately, it doesn’t function as bad as it looks, so it’s all good. Apart from these minor issues, if you’re looking for a Freeview set-top box for the upcoming holiday season, then buy British, and buy green with TVonics. This is great info. I’m thinking of getting one of these boxes. Thanks guys! When it’s working it works fine, BUT, that does not happen very often. This piece of kit has a nice interface, easy to use in all it’s facilities, unfortunately it has a habit of refusing to accept recording times either instant or manual, it trips out / resets too often, it also has a annoying tendancy to lock up for no apparent reason, this means having to disconnect the kit for several minutes to allow it to reset itself. I bought it because it is manufactured in Britain ( unusual ) and is both very quiet in operation with low loading in standby. It’s going back tomorrow.